Pub Manager is a Ruby on Rails application I created to manage the creation of digital books. It's useful for generating books that can be sold on Kindle and Createspace. 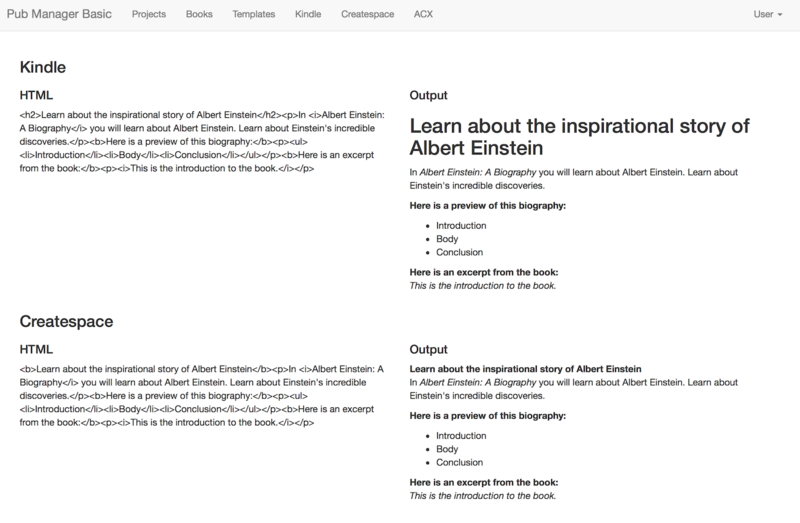 It also allows users to generate book descriptions from templates. 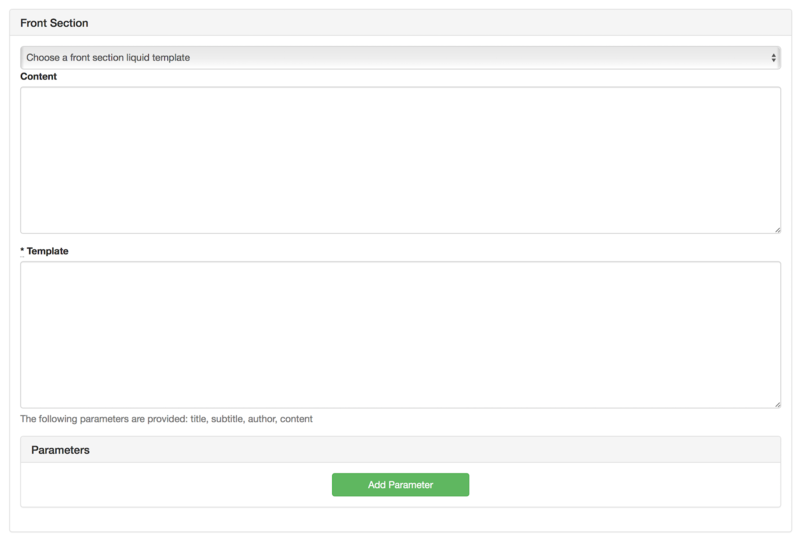 Pub Manager simplifies the process of creating books because users can utilize saved templates for each section. The templates help reduce the amount of work needed to format a book and result in a similar appearance. Cover images can be included in the books and a table of contents is automatically generated. Once a book is saved on the application, users will be able to generate eBook files in mobi or PDF formats. I created this app with Ruby on Rails. It uses a Postgres database and Coffeescript for the frontend. Templates are created using Liquid and TinyMCE. The app has tests written with RSpec.